Elizabethan England and Elizabethan Crime and Punishment - not a happy subject. Violent times. Crimes were met with violent, cruel punishments. Many punishments and executions were witnessed by many hundreds of people. The Lower Classes treated such events as exciting days out. Even royalty were subjected to this most public form of punishment for their crimes. The tragic execution of Anne Boleyn was restricted to the Upper Classes and Nobility and only several hundred spectators! Theft for stealing anything over 5 pence resulted in hanging - a terrible price to pay for poor people who were starving. Even such small crimes such as stealing birds eggs could result in the death sentence. Punishment for poaching crimes differed according to when the crime was committed - Poaching at night resulted in the punishment by death, whereas poaching during the day time did not. Begging was a serious crime during the Elizabethan era. The Elizabethan government made begging a crime and therefore illegal and 'poor beggars' As their punishment 'poor beggars' would be beaten until they reached the stones that marked the town parish boundary. The beatings given as punishment were bloody and merciless and those who were caught continually begging could be sent to prison and even hanged as their punishment. "The greatest and most grievous punishment used in England for such as offend against the State is drawing from the prison to the place of execution upon an hurdle or sled, where they are hanged till they be half dead, and then taken down, and quartered alive; after that, their members and bowels are cut from their bodies, and thrown into a fire, provided near hand and within their own sight, even for the same purpose." Other punishment included execution by burning and beheading. Being burnt at the stake was a terrible death. Executioners sometimes showed mercy to their victims by placing gunpowder at the base of the stake which helped the victims to a swifter, and less painful, death. The only other respite from the excruciating pain of being burnt to death was if the victims died of suffocation through smoke inhalation and lack of oxygen. The punishment of Death by the axe was a terrifying prospect. The Elizabethan executioners often took several blows before the head was finally severed. The punishment of death by Execution were held in public and witnessed by many people. Following the execution the severed head was held up by the hair by the executioner, not as many people think to show the crowd the head, but in fact to show the head the crowd and to it's own body. Consciousness remains for at least eight seconds after beheading, until lack of oxygen causes unconsciousness, and eventually death. The punishment by beheading therefore even continued after 'death'. The Heads of Elizabethan traitors were placed on stakes and displayed in public places such as London Bridge. Minor crime and punishment in small Elizabethan towns were dealt with by the Justice of the Peace. 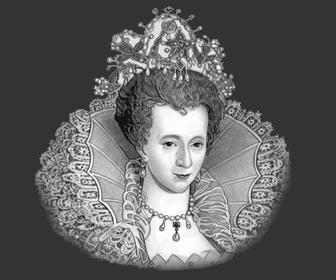 Many crimes during the Elizabethan era were due to a crime committed and the law broken due to the desperate acts of the poor. Every town parish was responsible for the poor and unemployed within that parish. The Justice of the Peace for each town parish was allowed to collect a tax from those who owned land in the town. This was called the Poor Rate which was used to help the poor during the Elizabethan period. MINOR CRIME AND PUNISHMENT - EVEN TRAVEL AND ACTING IN ELIZABETHAN ENGLAND WAS A CRIME WITHOUT A LICENCE. People did not travel around a lot during the Tudor and Elizabethan era. Travelling during the Elizabethan era could be dangerous, money was necessary and a license, obtained from the Bailiff in the Guild Hall, was required by anyone who needed to travel around England - it was a crime to travel without a licence. This law ensured that the spread of disease, especially the plague, was contained as much as possible and that the poor and the homeless did not travel from one village to another village - an Elizabethan ploy to lower the crime and punishment levels in England. Strangers were treated with suspicion and risked being accused of crimes and suffered the appropriate punishment. Elizabethan Actors were treated with as much suspicion as beggars. Anyone who needed to travel to earn their living, such as actors, were treated with suspicion and could therefore be expected to be accused of crimes. An actors standing in Elizabethan England was only slightly higher than a beggar, vagabond or a thief. When plays started to become more popular rich nobles, or high ranking courtiers of the land, acted as their sponsors. It was soon decreed that licenses should be granted to legitimise certain Acting Troupes. This raised the actors status somewhat and lead to fewer accusations of crimes. A license also had to be granted by Town Councillors when a troupe of actors came to town. Many actors received punishments for real and sometimes imaginary crimes which included the punishment of branding with red hot irons. 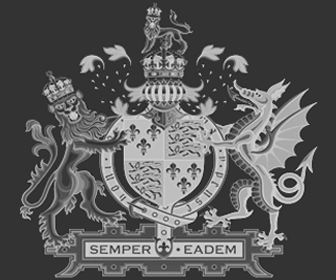 Details, facts and information about the Elizabethan Crime and Punishment in Elizabethan England can be accessed via the Elizabethan Era Sitemap.